There is no better way to show support for your favorite NFL football team than by adding officially licensed gear for your vehicle. The FanMats NFL rear cargo mats for SUV & minivans will do just that! 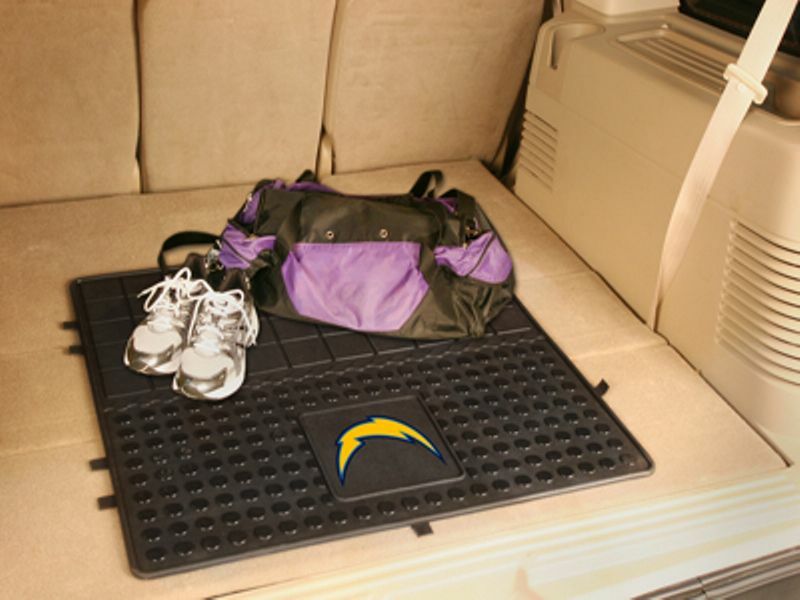 An NFL cargo mat protects your cargo area and shows your team spirit. These cargomats are made from heavy duty vinyl with a non-skid backing and ridges to keep water away from your factory carpet. FanMats permanently molds the logo into the vinyl with true team colors to ensure that your logo will last. The large 31" x 31" size of these trunk mats ensures that a mat can be used in any car, truck, or SUV storage area. FanMats lets you show just how big an NFL fan you are with these cargo mats, isn't it time you got yours? FanMats NFL cargo mats have a 30 day return policy. If you have any questions please call 877-216-5446. The FanMats NFL cargo mats are an easy at home installation. All you have to do is slide these right in and you are ready to go. For additional information call us at 1-877-216-5446 or 701-253-5906.